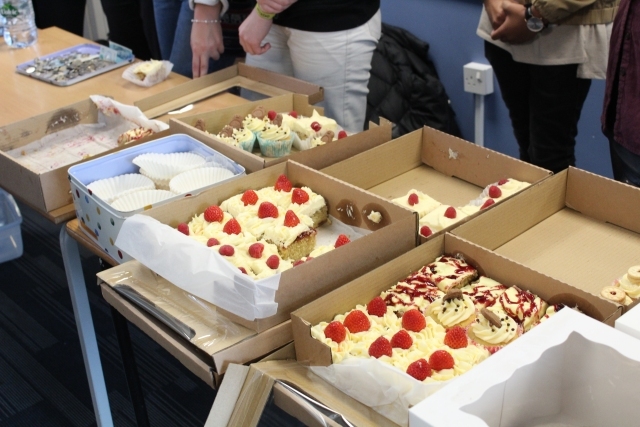 Thomas Hardye teachers, Mr and Mrs Orchard recently organised a cake sale in aid of the Stroke association. The response was excellent and it turns out they could have made even more cakes to sell! This was the third Orchard family cake sale and it was a great success, they were sold out in ten minutes and as a consequence the Stroke association will be £384.70 richer. In addition a separate sale to Damers staff brought the grand total to £403.60. The Orchards were particularly grateful to Hilary Robinson. On the sales desk itself Nadia Jenkins, Saskia Fry, Bea Forder, Senan Mcdonagh, Alice Furness, Denson represented 13AO marvellously. In addition, David Gray made a gluten free cake for the sale and then helped in the selling of cakes and deserves a special mention. 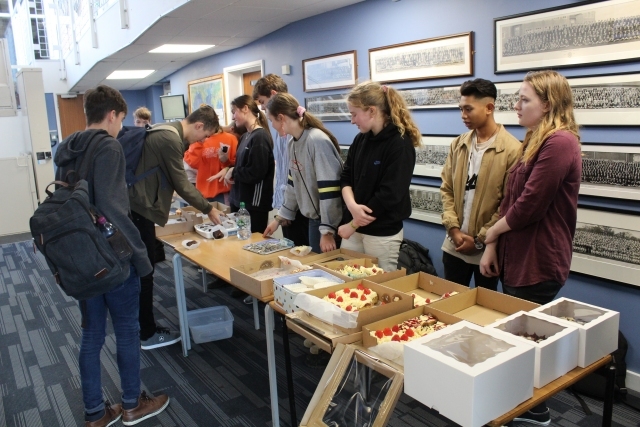 Cakes on offer included Brownies, salted caramel brownies, rice crispy cake, jammy dodger cupcakes, penguin cupcakes, raspberry and white chocolate cake, blueberry and blackberry cake with a lemon crunch topping and strawberry Victoria cake!